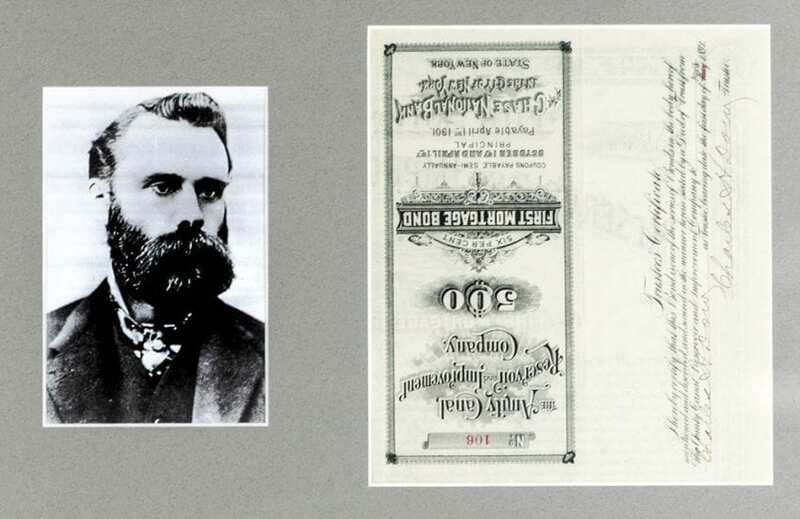 Charles Dow Signed Mortgage Bond. American journalist who co-founded Dow Jones & Company, who created the Wall Street Journal and conceived the influential Dow Jones Industrial Average. Signed Charles H. Dow, one page, dated 17, April 1, 1891. 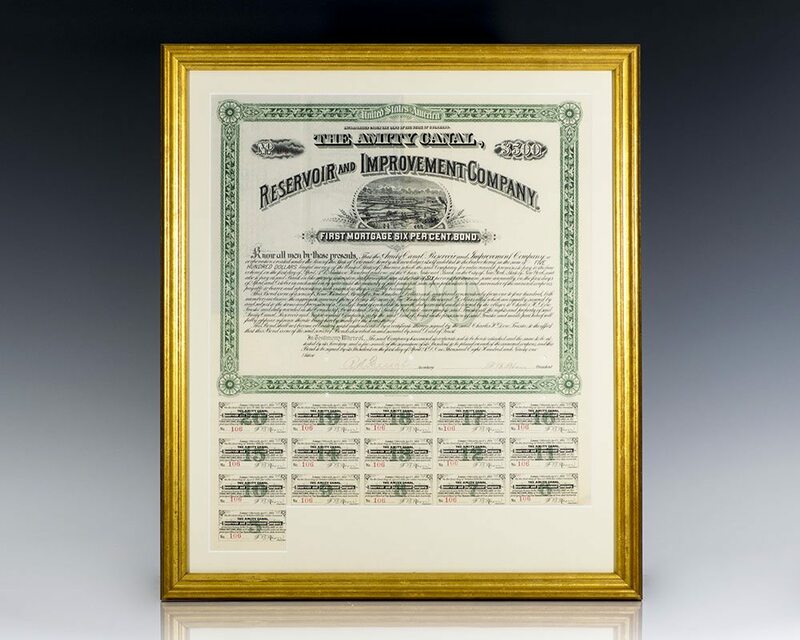 A first mortgage bond for the Amity Canal, Reservoir and Improvement Company, signed on the reverse by Dow as trustee. The document retains 16 of its 20 coupons in the lower margin. Matted and framed. 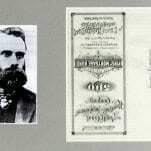 Charles Dow was an American journalist who co-founded Dow Jones & Company with Edward Jones and Charles Bergstresser. Dow also founded The Wall Street Journal, which has become one of the most respected financial publications in the world. 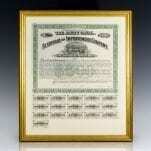 He also invented the Dow Jones Industrial Average as part of his research into market movements. He developed a series of principles for understanding and analyzing market behavior which later became known as Dow theory, the groundwork for technical analysis.